The piece in the show is from my project, “City of Ambition“, a personal view on Chongqing, China. I am mainly interested in the two huge rivers blending in the city. The landscape they form will disappear when the water level reaches its maximum as part of the the Three Gorges Dam Reservoir. What dramatical changes this will bring to Chongqing can only be guessed today. Although this body of work has a documentary component I do not understand myself as a documentarist. The ability to express my personal emotions through my images is very important to me. Working mainly on personal projects, he published his award winning first book Industrial Interiors in the year 1998. Ferit’s travels brought him often to China. As a result he published the book Shanghai (2000). 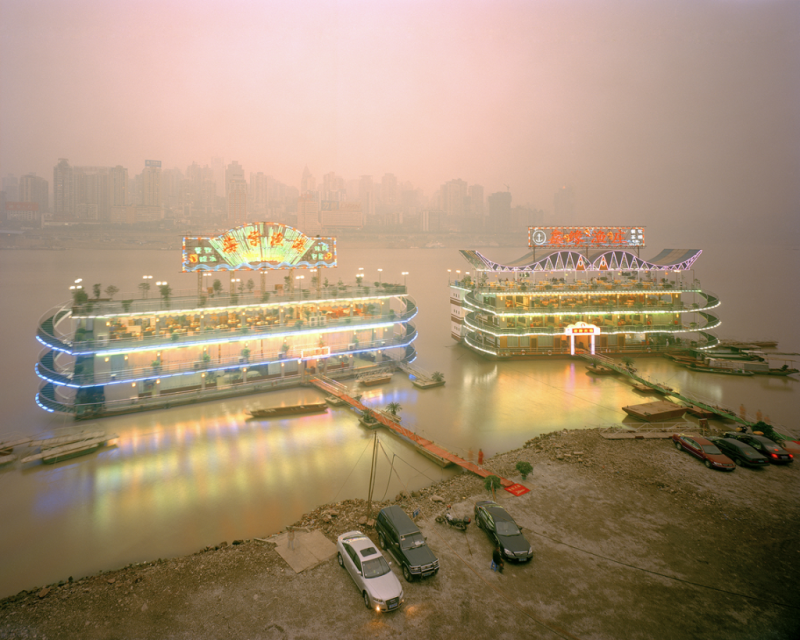 His most recent project is City of Ambition with cityscapes from the megalopolis Chongqing, China. The book is scheduled to be be published fall 2009.